Established in 2001, the principals of Tristar have been active in the land development industry for more than 25 years. A founding partner of Tristar Communities Inc., Rahim Lakhoo’s key role is to oversee the overall strategy, growth and direction of the company. 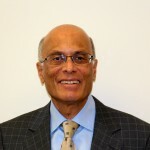 Rahim began his career in the land development industry in 1975 as a consultant for Walker Newby & Associates. 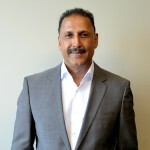 By 1979, Rahim joined the firm of CEP Consultants Ltd. as a Principal, where he worked with a team involved in the planning, engineering, provision and implementation of all necessary services to various land developers in Calgary. Over the years, Rahim has been extensively involved in development of a variety of prominent communities including Sandstone, Beddington, Abbeydale, Cedarbrae, Woodbine, Coral Springs, and Douglasdale. With this thorough and comprehensive industry knowledge and experience, Rahim is an influential partner of Tristar Communities Inc.
Moez Moledina joined Tristar Communities Inc. in 2002 to oversee Operations, directing the success and growth of the firm. Moez entered the land development industry in 1982 with Genstar Development Company, involved in the successful design and construction of numerous key communities in Edmonton and Calgary. During his 20 year tenure at Genstar, Moez gained a strong background in all key facets of the land development industry. His collaboration over the years with municipal departments of the City of Edmonton, City of St. Albert, City of Fort Saskatchewan, Sherwood Park, City of Calgary and the Town of Okotoks has directly attributed to the success of structuring, planning and development of several master planned communities across Alberta.